Serving the Vancouver, WA area since 2005, and having experience that goes back for decades prior to that, All the Walls was built on a commitment to excellence. 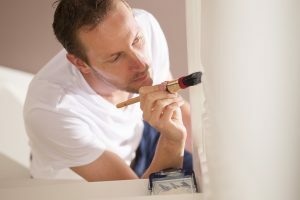 Each painting contractor working for us is well-trained and well-vetted. We uphold the highest level of standards in both our painting services as well as our customer service. Why call us as your painter? We understand that good painting comes from attention to details. From the way we drape the drip-cloths to the taping and edge-work, we pay attention to the finest points throughout the process. We begin with quality preparation and finish with a thorough cleanup. What is left are smooth, vibrant surfaces with lasting, quality paint and finish. Contact us today for your free, no-pressure consultation. Let us bring your home’s interior or exterior back to life.